Arrived home late last night from our cruise. I can tell you that we had the trip of our dreams!!!!! Everything was great. Aruba, Curacao, St. Martin & St. Thomas. Our balacony cabin was amazing as was the staff, entertainment, food, excursions and sooo much more. This was our first cruise and will not be our last one! We loved this ship and are very happy to recommend it to our family and friends. It was also great to hear different languages spoken on our holiday. We expected Spanish to be spoken, after all we did depart from San Juan!! Imagine if you took a cruise out of a Mediterranean port. Wouldn't you expect to hear a variety of languages on board??? We would! Well, reality has started setting in. Came back to -30 weather last night in Manitoba and will now start on load #2 of the laundry. 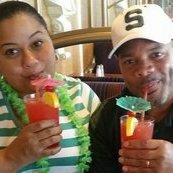 We have enjoyed reading the posts on this site and want to thank you for helping us plan our first cruise. Wow you got a fantastic price! The cheapest direct flight from BOS to SJU available now is $280 according to kayak. Reality is good. The way I see it.......it just keeps us dreaming about our next cruise. Gotta work hard to play hard for 7-14 days in the Caribbean!!! Yes it is, thats why we booked again, and friends we met on board booked 7688 it just like it only on the other side. It was with out a doubt the most peaceful and realaxing balcony I have ever been on. Thanks for the positive comments you posted. I have been looking forward to this cruise since I booked it, Jan. 2007. I think a good vacation has alot to do with how you perceive it. If you go in with a positive attitude, your most likely going to enjoy it. Our flight home leaves at 5:00pm when our cruise returns, in your experience, what do you do with your luggage all day? Do you stow your luggage somewhere? I was thinking of renting a car and visiting El Yunque Park and drive back to the airport by 2pm. If our flight leaves at 5pm, what time should we be at the airport? We were in 7388 last year. Its the same only the other side. You will LOVE it. It is a great balcony. Our flights have always left San Juan by about 3pm, so we have always just gotten off the ship and headed straight to the airport - so no luggage stowing issues for us. If you were going to rent a car - you will be able to put the luggage in the trunk? The main thing I noticed about this cabin was the balcony - it is really huge!!! Friends of mine had it on the Mariner and I went to see it, and absolutely loved that balcony :) I think they could have had the entire gang from the Meet and Mingle on that balcony with no problems at all!!! Thanks. I am really excited about it, too. I can just picture us asleep there in the 90 degree sun right now! I thought that I had read somewhere that there wasn't a couch in the cabin so I was wondering. We had the pleasure of having an Owners Suite on a cruise last year. That had 2 balconies wrapped around the front of the ship and man! Whooo. Lovely. We had our first Aft balcony in September and we loved it. DO you know if this (7388) balcony gets sun. I do like the fact that it is covered but would enjoy laying in the sun sometimes. Thanks. I am really excited about it, too. I can just picture us asleep there in the 90 degree sun right now! I thought that I had read somewhere that there wasn't a couch in there so I was wondering. We had the pleasure of having an Owners Suite on a cruise last year. That had 2 balconies and man! Whooo. Lovely. DO you know if this (7388) balconmy gets sun. I do like the fact that it is covered but would enjoy laying in the sun sometimes. There is some sun. My wife laid out and got some sun one day. You have to put your chair along the edge. It is mostly shade though and when the ship is moving, ah I thought I was in Heaven, A beautiful view out the side and the rear and a wonderful ocean breeze. Sounds like a commercial huh. I think you could have a meet and mingle there. I know you could fit 20 people on it. No doubt. You surely made me smile! Now if I can live through the Michigan winter and get to my cruise date I'll be doing just fine! That sounds perfect since my husband prefers the shade. I anticipate many peaceful nights! We are a lot alike, I also prefer the shade and my wife lives for the sun and we are here suffering through an Ohio winter. I just looked at your sail date and we are just a few weeks behind you, 9/21. My DW and I sailed on the AOS in July '06. We enjoyed it so much that we are now booked in July to visit the ports we didn't visit last time. Can't wait. Do you remember whether USAir was taking luggage outside the terminal after the cruise. I have heard that they are not part of the $20 program but that they do pickup outside the terminal. Can anyone verify that? we are booked on AOS on April 13, looking forward to a wonderful time! we have sailed on Princess out of san juan before and ready to repeat a great experience here. have done Explorer several years ago and sowe know that the Voyager class ship will be a great trip! My only concern is conflicting reports on what time we sail...but I guess it really doesn't matter much since we are flying in the day before anyway! The AOS sets sail from San Juan at 8:30pm :) Used to be 10pm, but that changed almost a year ago.